Prepaid Bank Accounts | Get A Free Debit Card Trial Today! As a small business owner, you may have looked into employee credit cards, only to find that most of them are designed for large businesses with high transaction fees and service charges. Bento for Business is different. They offer many options for prepaid gas and debit cards designed specifically for small businesses. In order to sign up for a Bento prepaid card, a process that can take as little as 60 seconds, you will need to link and verify a bank account. Your prepaid cards can only be used if you have an available balance in your Bento account, which means you will need a method for transferring funds into the account. There are two methods for linking your account. You can use the instant account verification method. You will need to use your login credentials for this method, but there is no need to worry about your security. 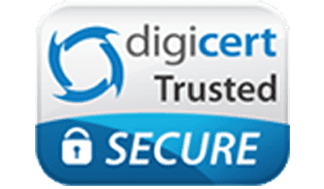 All account verification is protected by a 256-bit Secure Socket Layer (SSL). Your data is encrypted to keep it safe from criminals. The second method for linking your bank accounts is the Deposit Verification method. This method may be necessary if your bank or credit union is not listed with Bento or if your bank does not have online access. You enter your bank routing and account number into Bento’s secure screen. In one to two days, two small deposits will be made into your account. Simply sign into Bento, enter the deposit amounts in the verification screen and your account will be linked. Your bank must allow ACH transfers in order to use it with Bento, so be sure to check with your bank or your transfers could fail. Once your accounts have been verified, you can begin loading your employee cards for use. You can add up to ten employee cards for $29 per month. In addition, you can add or remove employees, add more funds to their card or change the locations where they can use the card 24 hours per day, 7 days per week from anywhere. All accounts are protected with up to $250,000 of FDIC insurance as well. Transfers from your bank account are normally available from your Bento prepaid cards within two to three business days. When you manage your funds, you can see exactly when a transfer will be available for you and your employees to use. If there is a bank holiday or you attempt to transfer just before a weekend, there may be a delay in funds. For example, if you load funds by 4 PM on Monday, funds should be available by 11 AM on Wednesday. However, a transfer on Thursday by 4 PM may not be available until Monday at 11 AM. One of the best reasons to choose Bento is that they are accredited by the Better Business Bureau which means that if you have any issues, they will resolve them as quickly as possible. 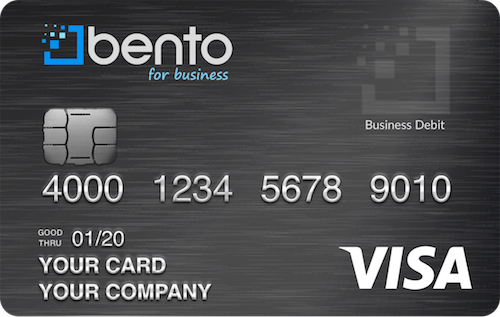 If you have been searching for a prepaid credit or gas card for your small business, contact Bento today by calling 866.220.8455. Our friendly staff is available Monday through Friday from 5 AM until 6 PM PST. You can also send us a question through the website or check out our FAQ section for the answers to any questions regarding prepaid bank accounts. Sign up for a 60-day free debit card trial today!